Nine years ago, the digital revolution started as a novelty and has grown to be the most discussed topic in the global fintech environment. Since then, the pace and growth of Bitcoin has accelerated to the point where it dominates the global business environment. Today, there are many coins available to be traded on several global exchanges. In reality, more coins are released and developed every day. It is hardly surprising that a lot of crypto traders are wondering which crypto coins are worth investing in. Today we will talk about some of them. • and function as a medium of exchange. Despite the confusion, Bitcoin, created by Satoshi Nakamoto, remains the most dominant of all cryptocurrencies. Bitcoin encourages new waves of cryptocurrencies and serves as a trendsetter. 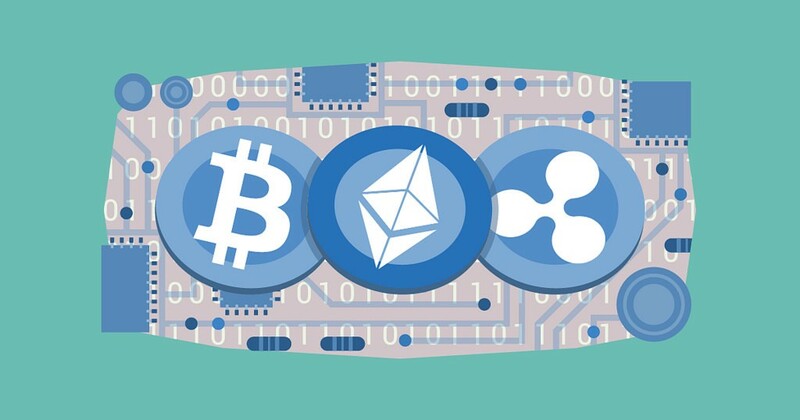 Currencies that are created off the back of Bitcoin are collectively called altcoins and have presented themselves as improved and modified versions of the original cryptocurrency. These altcoins have adapted their usability and potential to specific and unique use-cases. These emerging coins focus on decentralized and utility applications. Nonetheless, other promising currencies specifically focus on scalability, security, and privacy. These popular coins can be used only as an exchange medium in particular ecosystems on a small scale as they struggle to act as a unit of account or a store of value. The volatility of cryptocurrencies is the primary reason for this. The possible fluctuation in the price on any day makes the coin unsuitable to meet two criteria. To address these challenges, specific subsets of cryptocurrency surface, and it is these that are the coins most worthy of investing in. Unlike the first cryptocurrency, Bitcoin, which is typified by high volatility, these promising coins offer crypto enthusiasts an alternative with the added bonus of more consistent pricing levels as they are applicable in the real world. In this article, we talk about some of the most promising coins available in late 2018. We believe that these coins meet not only the three common criteria of promising coins but also the demands of most crypto traders. First and foremost, the coins want to model the relative instability of fiat currencies, but after that still maintain the primary features of cryptocurrencies such as security and decentralization. While this list is the result of our research and the inputs of some crypto evangelists, it is in no way authoritative as it reviews most of the current influential journals, papers, and articles that have received recognition within the crypto community. Which cryptocurrencies, therefore, are the most promising? Commonly known as “silver coins”, based on the analogy of the “golden” Bitcoin (as it was known when launched in 2011), Litecoin was part of the early cryptocurrency wave which followed the protocol of Bitcoin. It was developed by a former Google engineer and MIT graduate, Charlie Lee. The coin is built on a global, open-source payment network that adopts script as the proof of work and is not controlled by any central authority. It can only be decoded using the CPUs of consumer grades and is typified by a faster rate of block generation. Although in many ways it operates similarly to Bitcoin, many people still believe that Litecoin offers a faster confirmation of transaction than Bitcoin. With a unique set of mining algorithms and a huge amount of tokens, Litecoin has proven its longevity and worth. It is generally believed to be one of the most stable-priced cryptocurrencies on the market, and the majority of crypto enthusiasts believe that it will one day overtake Bitcoin as the crypto king. Apart from the multitude of developers, there is a pool of merchants who accept Litecoin as a medium of exchange. The coin had a market cap of about $3.2 billion as of September 2018 and closed at $55.9. Ethereum, launched in 2015, is a decentralized and secure software platform that allows Distributed Applications (DApps) and smart contracts to be run and built without any fraud, interference, control or downtime from any third party. Ethereum, in 2014, launched a pre-sale for Ether, which later received an overwhelming response and rate of adoption. Ether allows applications to be run on the Ethereum platform’s specific cryptographic token. In essence, Ether is similar to a bus for navigating around the Ethereum platform and is preferred by many developers who seek to run and develop their applications within that platform. This can be used to decentralize, trade, and codify just about anything according to Ethereum. After the attack on the DAO last two years, there was a split into two major components of Ethereum Classic (ETC) and Ethereum (ETH). The second after Bitcoin in the crypto market, Ethereum boasts a huge market capitalization of more than $22.4 billion. It closed at $219.8 (missing? per share?) as of September 2018. More corporate giants and companies are actively involved with Ethereum than any other cryptocurrency. They include JP Morgan, Consensys, Toyota, Scotiabank, BP, Mastercard, Microsoft and National Bank of Canada. A very promising cryptocurrency, Zcash was launched in 2016. It is an open-source and decentralized coin and is often accredited with the saying “If Bitcoin is like http for money, Zcash is https’. The coin provides selective transparency of transactions and privacy to its holders. Hence, similar to the web of https, it claims to offer privacy and security to all possible online locations where transactions are recorded, stored and published on the blockchain. It does however, keep sensitive info such as the transaction amount, recipient, and sender private. There is also a choice of shielded transactions on Zcash which enable all contents to be encrypted with the use of zero-knowledge proof of construction known as zK-SNARK or advanced an cryptographic technique created by its team. There is a reported market cap of about $562.7 million as at the time of writing this article, which closed at $116.83. Known initially as Darkcoin, DASH is a more secretive and decentralized version of Bitcoin. It provides more anonymity and privacy as it operates on a decentralized network of master nodes that makes the traceability of transactions difficult. DASH, launched in January 2014, enjoyed growth in its fanbase in a short span of time. It was purposefully developed and created by Evan Duffield and can be successfully mined using a GPU or CPU. Darkcoin became DASH in March 2015- and adopted DASH as the ticker which stands for Digital cash. The rebranding in 2015 didn’t alter any of the coin’s unique features such as InstantX and Darksend. The coin closed at $196.81 on July 31, 2018, and has a market cap of $1.6 billion as of September 2018. Ripple was launched in 2012 and is a real-time global settlement network that provides low-cost, certain, and instant international payments. This network allows banks and other financial institutions to settle all cross-border payments in real-time, at lower risks, with end-to-end transparency. Ripple’s method of confirmation?—?its consensus ledger?—?does not require mining; this is a unique feature that deviates from altcoins and Bitcoin. This means that it minimizes the use of computing power since it doesn’t need any mining and this reduces network latency. The coin is built on the foundation that the value of the distribution is an important channel to incentivize particular behavior. It plans to distribute XRP via the various business development deals, selling XRP to institutional buyers that are interested in the coin, and incentives to liquidity providers who provide spread for its payments. Ripple, as of September 2018, has a market cap of $11.194 billion and closed at $0.28. CIX100 is a market coin that represents an index of the top 100 performing cryptocurrencies, referred to as the Cryptoindex 100. It is a digital expression of the top 100 coins, that rebalances itself continuously as the cryptocurrency market ebbs and flows based on its own AI-powered algorithm called Zorax. Over 1,800 coins are put through the fixed set of filters based on more than 200 factors, which provides around 500 coins as a rough output. Data is collected from cryptocurrency exchanges, news sites, social media platforms such as Twitter, GitHub, and other sources. Then, the factors are fed into the neural network, creating a final rating of coins, with the top 100 coins making up the Cryptoindex 100.